Audi has dropped a 1.0-litre three-cylinder petrol engine into the A1 to create a £14,315 base model for the premium city car. 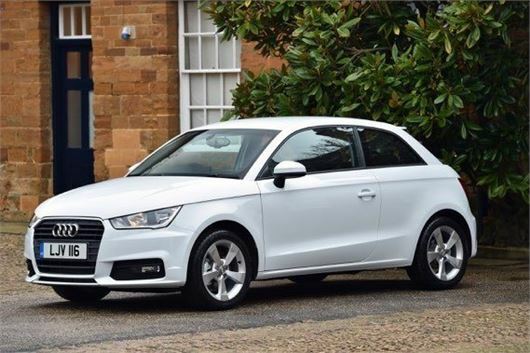 Available from summer 2015 in SE and Sport specifications, the SE version undercuts the current cheapest A1, the £15,390 1.6 TDI SE 116PS, by over £1000. The trade-off is power down to 95PS, though it’s enough to get the A1 to 62mph in 10.9 seconds, while fuel economy is a claimed 67.3mpg and CO2 emissions 97g/km. By comparison, the aforementioned diesel returns 80.7mpg and 93g/km. That makes them both free to tax (VED band A), but as Audi puts it, "weighing up the pros and cons of petrol and diesel power becomes a little harder for A1 customers." It replaces the 89PS 1.2-litre four-cylinder petrol engine and is available in three-door and five-door (Sportback) body styles. A five-speed manual gearbox is standard, but a seven-speed automatic is available too. So equipped, claimed fuel economy dips slightly to 64.2mpg. Audi has also seen fit to soften the suspension of Sport models, which remains firmer than that of SE but is now more comfortable. SE and Sport both include alloy wheels, air conditioning, remote central locking and a six-speaker stereo with iPod connectivity. A collision brake assist system is standard too, which mitigates the effects of skidding and applies the brakes after the event of a crash to help prevent knock-on collisions. Sport trim adds satellite navigation, Bluetooth phone streaming and sports seats.